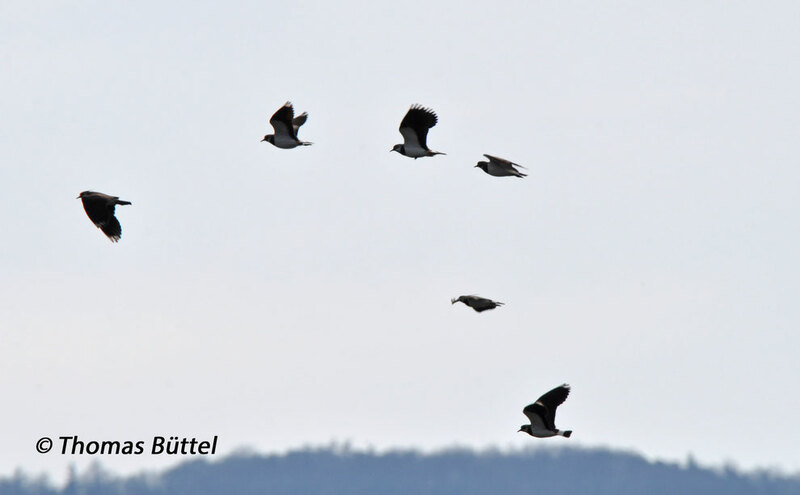 On my walk around the Großer Wörth today afternoon the first avian signs of spring were eventually evident. The air was filled with the songs of Chiffchaff, Reed Buntings, Skylarks and many more short-distance migrants, on the water there weren't just the usual Tufted Ducks but also the first Garganeys and finally on the sand banks hundreds of Lapwings were feeding. A more focused look on the latter produced furthermore my first Snipe and Little-Ringed Plovers of 2017, which shared the mud with some Water Pipits, White and Grey Wagtails. This great variety of birds is always overwhelming after the winter and so I wasn't even surprised when a lonely Common Crane circled over the area, the 6th year tick of the day. All in all, it have been two hours of relaxed birding. That's the way how it should always be.